Do childhood dreams really come true? Ask Danielle Hughes and the answer would be a resounding ‘yes!’ As a youngster, she daydreamed about living on the street around the corner from her home. ‘It had such a nice feel to it and I loved the individual character of each house,’ she says. Little did she know that years later she’d get the opportunity to turn that dream into reality. Find out how she did it below. 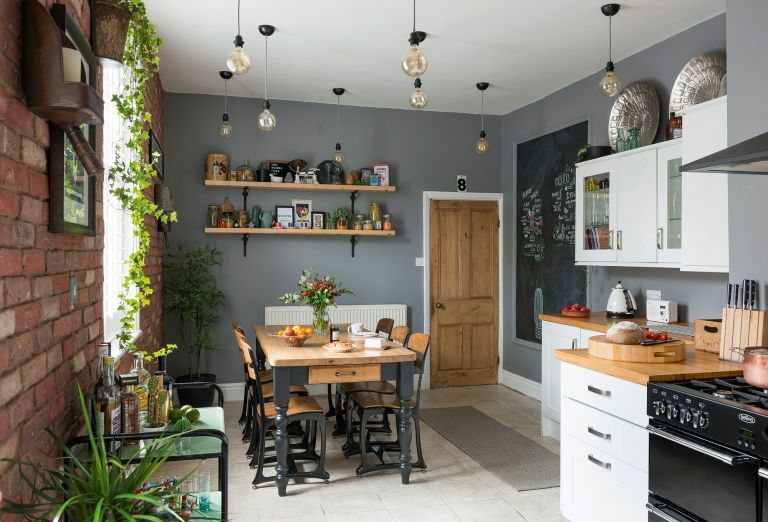 And, for more inspiration, see other real home transformations and our restoration advice for practical information. up the rest of the house, which meant the couple were forced to be inventive with their decorating ideas. The only room they didn’t feel confident to complete themselves was the bathroom, with its false plastic ceiling and blue and white fish patterned tiles on the walls. ‘I was dying to rip it out but I had to wait until we’d saved up,’ Danielle says. Danielle spotted the idea for the faux panelling in a period property magazine, and Jason fitted it himself. Painting the walls in berry shades gives it a modern twist. ‘It felt like a very long wait!’ Redesigning the layout has changed the room dramatically. A new bath with shower above sits at one end of the room, while metro tiles with black grout give the space a smart finish. ‘There was no floor space before, but now it’s less cluttered and works far better as a family bathroom,’ she adds. The couple have completely overhauled their dated bathroom space with a period-style scheme. Tin-effect ceiling tiles reflect light and add glamour. ‘They’re quite unusual but I love them,’ Danielle says. 'Upkeep on an older building never stops, but that’s what we signed up for when we bought this place. We wanted a project we could get our teeth stuck into, and I love the individuality of our home,’ says Danielle. with flashes of yellow, including the painted picture rail.